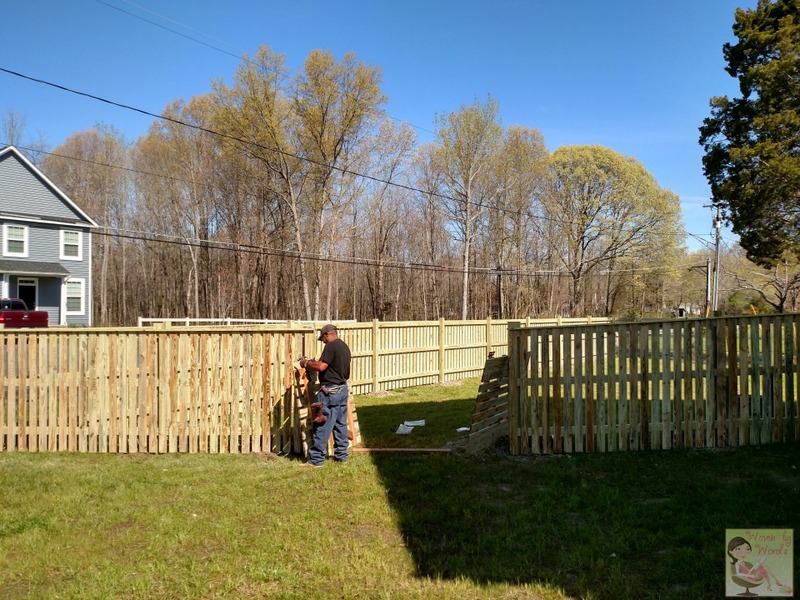 When we decided to build our fence, there was a lot of excitement, and having never built one, I was pretty much ready to just dive in! Turns out there was more that needed to be done! 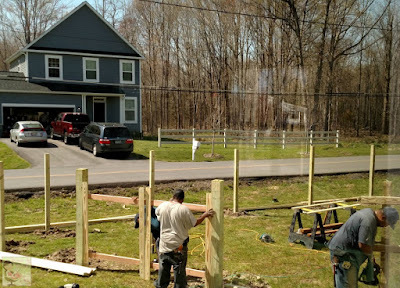 While our house was being built, we got the name of a guy who had built 2 of the fences for the houses on our street. 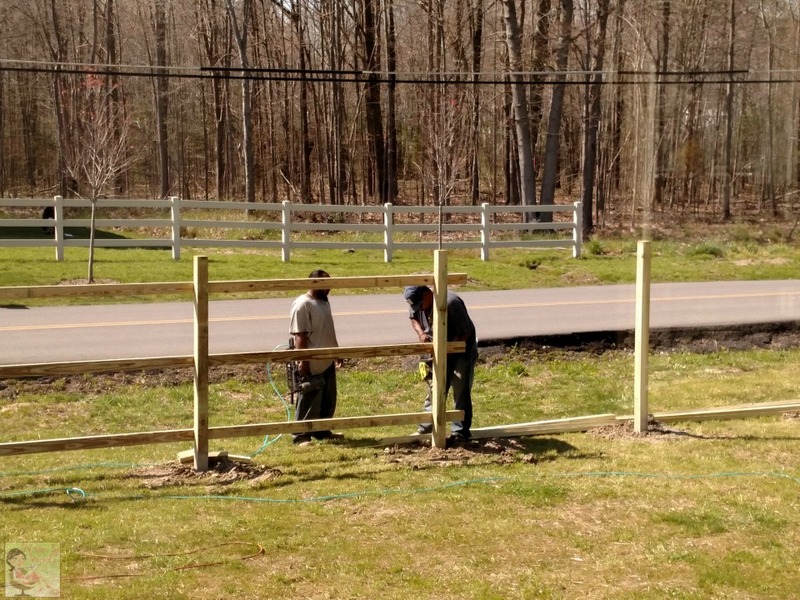 We hadn't looked to closely at them, not knowing when we'd even begin building the fence. It finally got to the point where we (mostly I) was tired of chasing the dog in the dark when we let her out to go potty. Our sweet, little Peru would go to the bathroom, off leash, and once she was done, would take off like hades was on her heels. 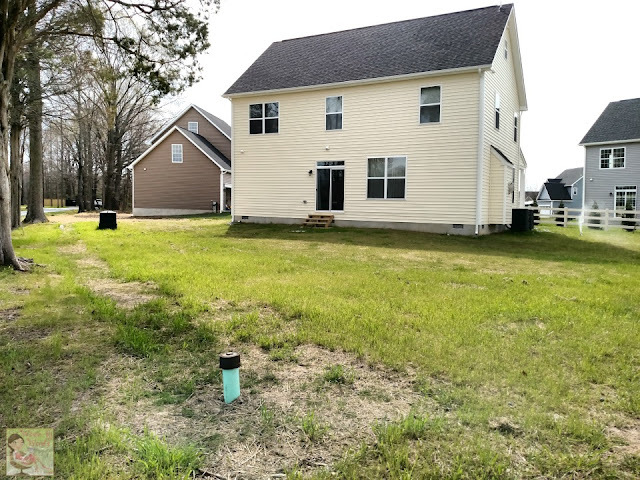 She'd run through the muddy construction towards the neighbors. We'd stand outside yelling for her like idiots, and then finally give up, go inside, grab her leash, and go after her. 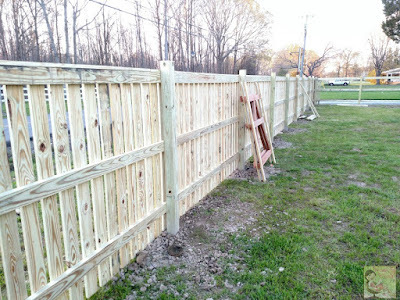 The time for a fence had come. 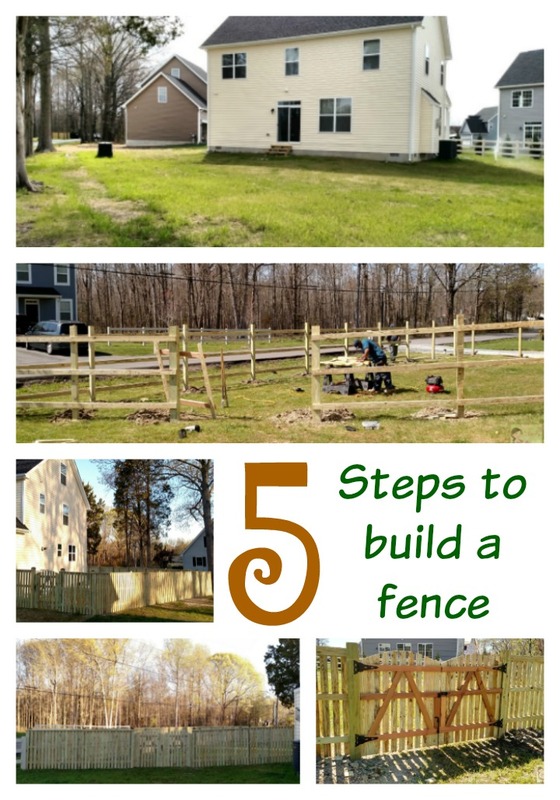 Before you get started, here are the steps we took for having a fence built. 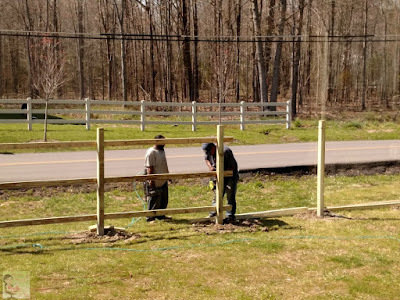 Because we have Peru, we knew we'd need to have a fence at least 4' tall. When we had friends over a few weeks ago, she jumped over the back of the couch to land on the cushion. 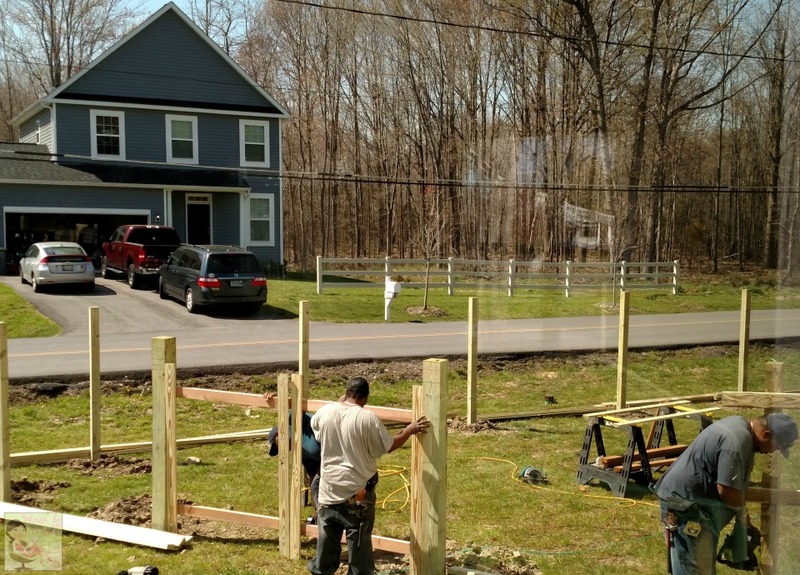 That told us she needed a fence that was a minimum of 5' tall. I didn't want 6' because that was just too much for me. What will be the purpose for your fence? That will help determine the height. If we didn't have a knucklehead for a dog, I probably still would have an open yard. 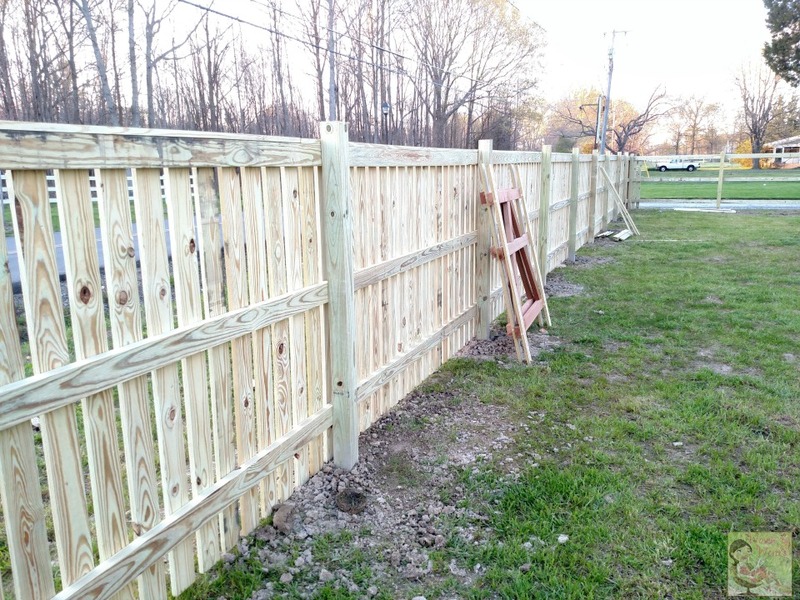 Fred and I went back and forth between a vinyl fence and a wood fence. Vinyl was definitely appealing. There's so little upkeep with it. Of course, that comes with a hefty price. Wood, while cheaper, would have to be maintained by being cleaned and stained. We went with wood. 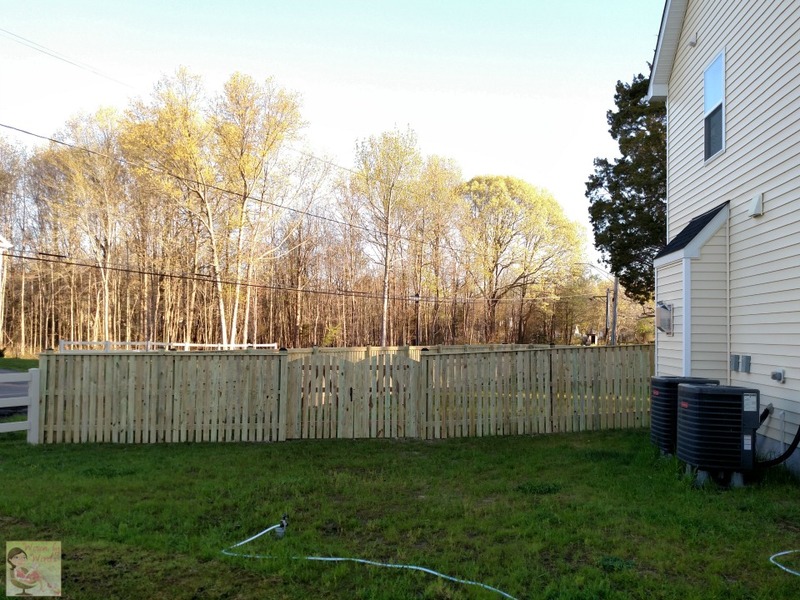 We walked the yard a couple times debating on where we wanted the fence to start and end. We also had to figure out how far out we wanted to go to the sides and out to the back. 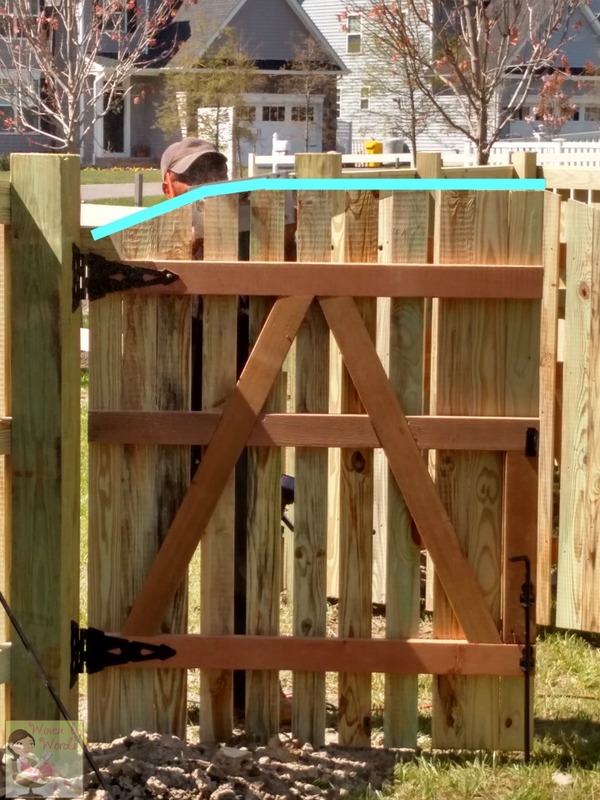 Everyone has their own reasons for how their fence is shaped. I didn't want the propane tank to be inside the fence because the propane guy would either have to heft the hose over the fence every time or go in and out to fill the tank. I just wanted it to be easier all around, especially in the winter. Let's just say that DIDN'T happen. 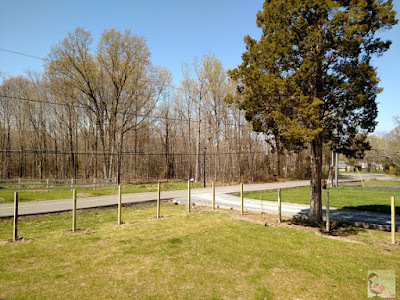 The hubster wanted it inside the fence, so it's inside the fence. HA! 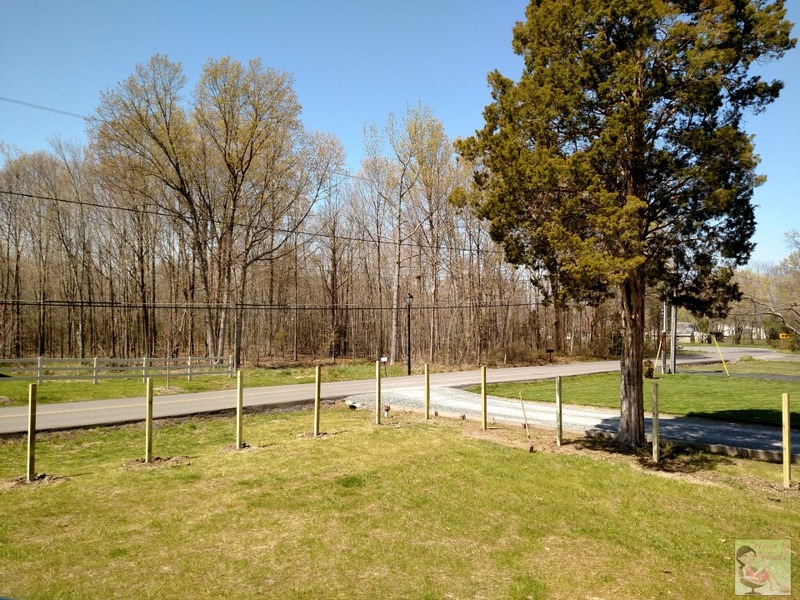 We have a weird line in our backyard because of the trees. They're not in a straight line. 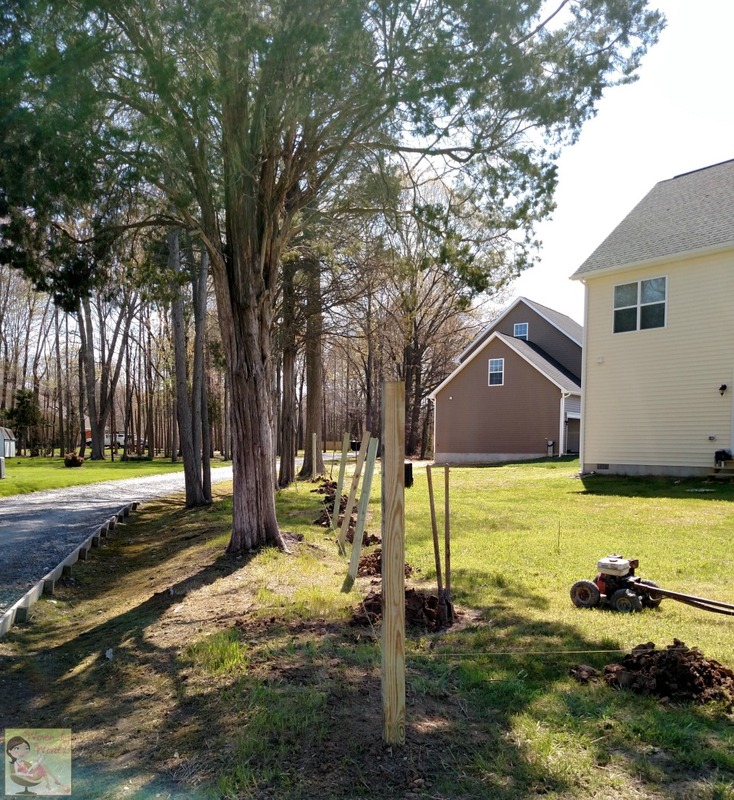 We also have the sewer line that goes across the length of the backyard for our whole neighborhood. Yay us (not so much). 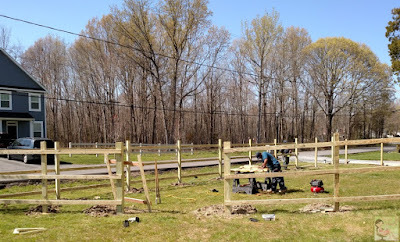 No, the fence isn't finished here. When I first saw it, I thought the gaps were SO terrible. lol All they'd done was nail it at the top for spacing, and then went back to finish them. I couldn't believe how far apart all of our quotes were. I think we had 4 or 5. We also had them bid on a deck because we definitely want to have one of those sooner than later. 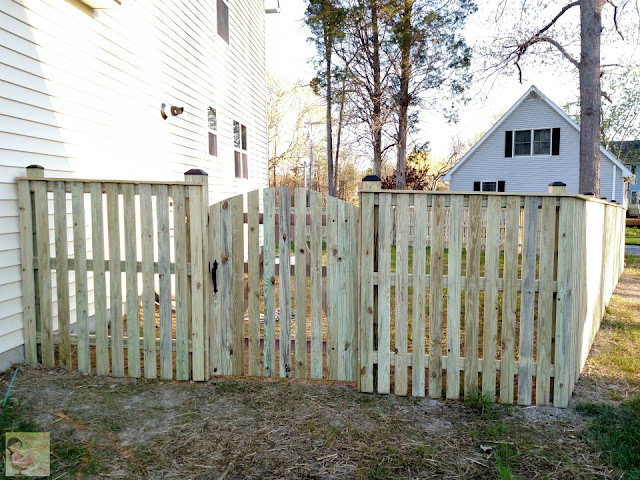 The name the neighbor gave us for who did their fence was the last guy we called. Turned out he was the least expensive. We went with him, especially since we could see the work he'd already done. It was nice to walk by their fences and see what we wanted or didn't want. I wanted rounded gates, and a wider slat in full fence. I may actually regret this as Peru can see everyone and everything that walks by, and barks like a wild beast. You hear it all the time, especially when the weather starts to get better. Call the electric company before you dig. The last thing you need is to is cause your house to blow up by hitting a gas line or shut the entire neighborhood down by cutting the electrical lines. 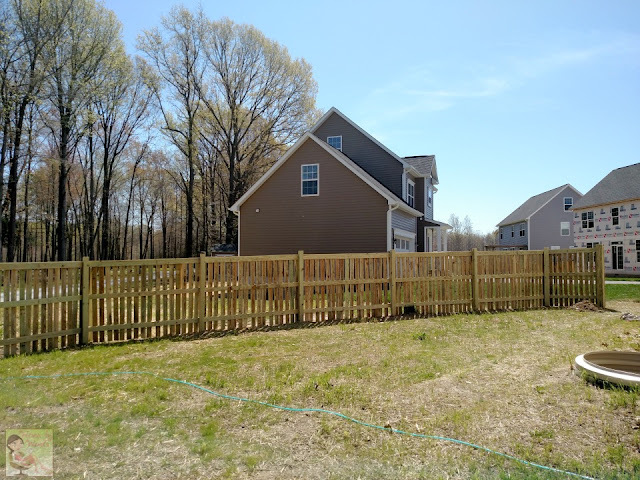 Check with your HOA to see what their rules say, as well as the city/county to make sure they don't have something in place where you have to pay a fee for building a fence. We went with a double gate on one side of the house in case we ever needed to get something big through to the backyard. 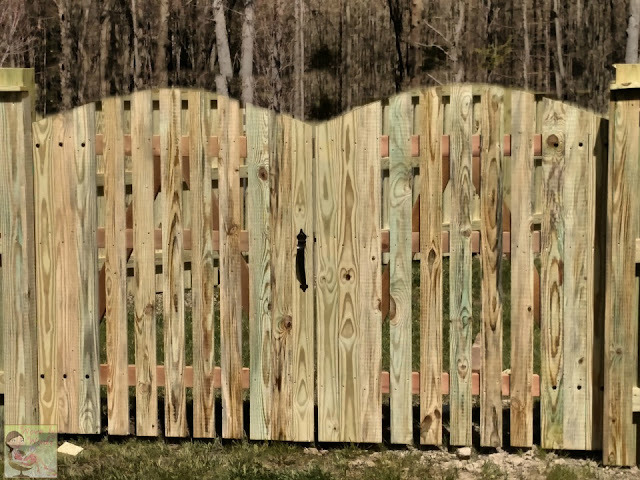 The opposite side only has one gate. 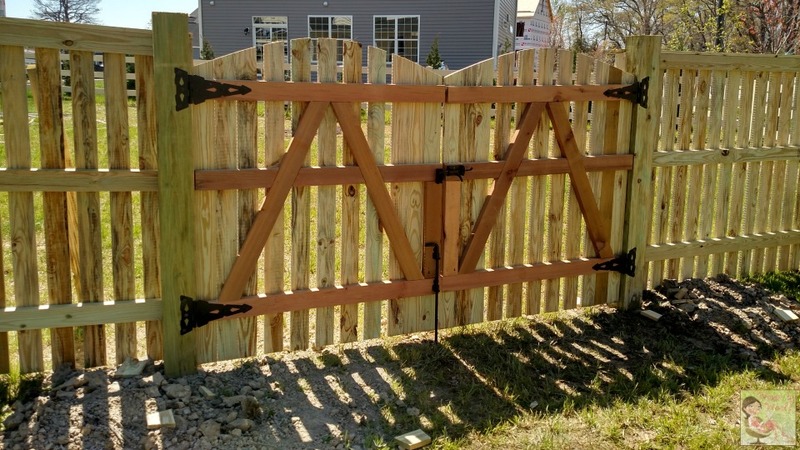 I absolutely love the rounded gate tops. 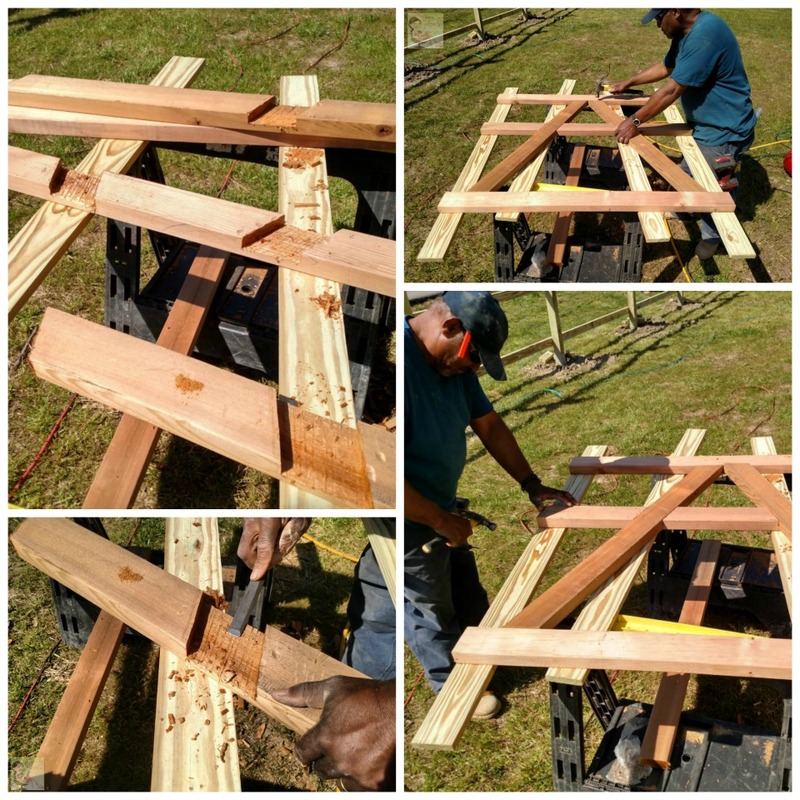 The foreman did it by hand! 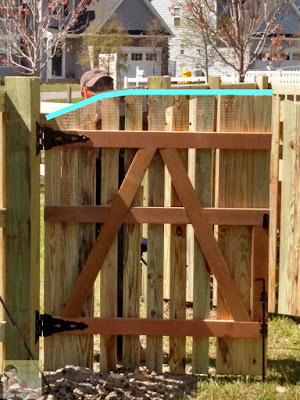 He also notched out the A frame on the inside of the gates by hand. It was so cool to watch him do it! The finished product is spectacular! 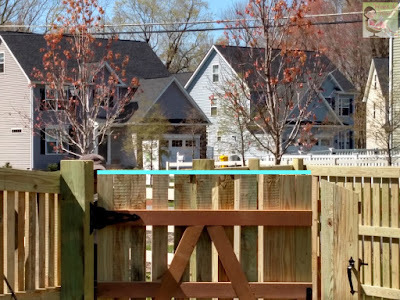 I've already asked him to give us a quote for a deck, but we won't be able to do that until some time this summer. We also have to wait 2 months before we can stain it! The wood is still wet/new, and needs time to dry out. If you're looking to have a fence, deck, or landscaping, and you're in the Annapolis, MD area, give T.K. Parker a call at 410-533-5363. You'll be as impressed as we were! 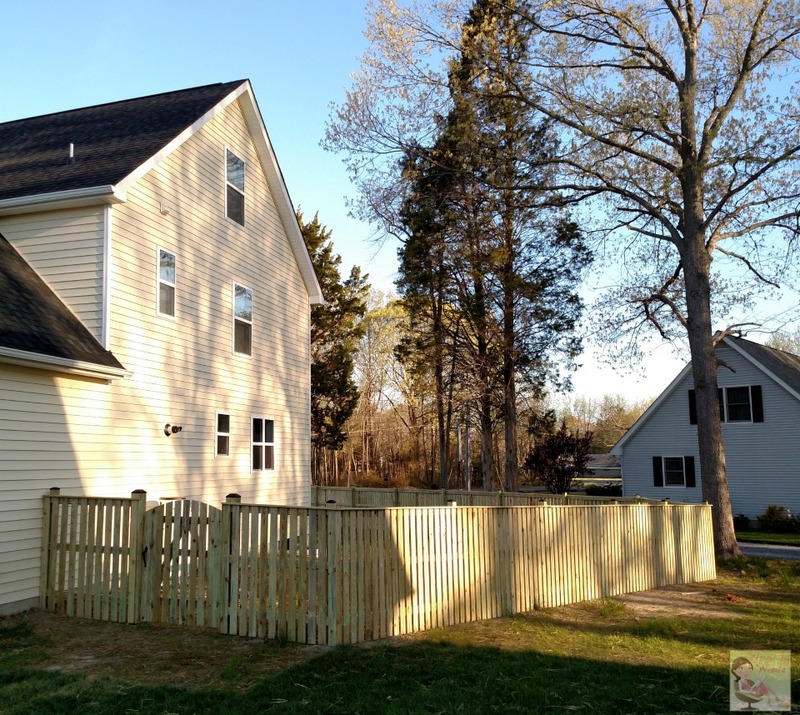 Have you ever had a fence or deck built? Any suggestions for someone else who is planning on building one?